Although Mr. Valentino retired from his maison in 2008, he has designed a frock or two since then. 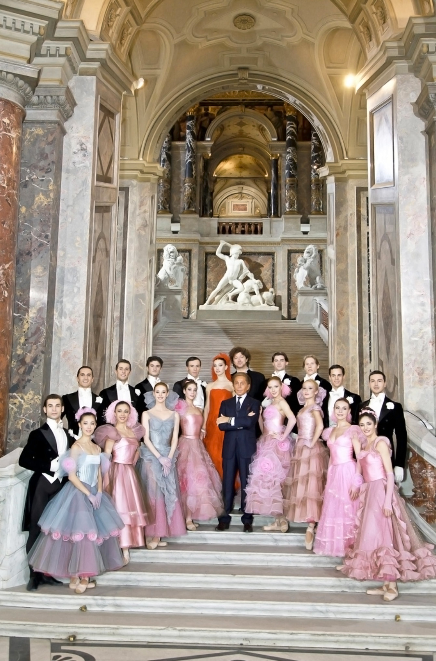 A year after bidding the catwalk adieu, for instance, The Paris Opera Ballet prevailed on Mr. Valentino to design costumes for one of its most high-profile upcoming gigs: The New Year’s Concert from Vienna, which is broadcast annually on TV networks worldwide. To ring in 2010, the Paris Opera Ballet would decamp to the Vienna Art History Museum to perform two dances—and they needed their dancers clothed in looks that could rise to the standard of the surrounding art. Mr. Valentino happily obliged. The ballets served as interludes in a long concert conducted by maestro Georges Prêtre, who led the Vienna Philharmonic in works such as Offenbach’s overture to “The Rhine Mermaids” and Johann Strauss’ Blue Danube waltz. The first dance by the Paris Opera Ballet was a duet—a Strauss polka that featured principal soloist Eleonora Abbagnato in a gown of signature Valentino red, and her partner Nicholas Le Riche wearing tux and tails. The second, more elaborate dance, took place in the museum’s picture galleries, among paintings by Rembrandt, Rafael and Velasquez. 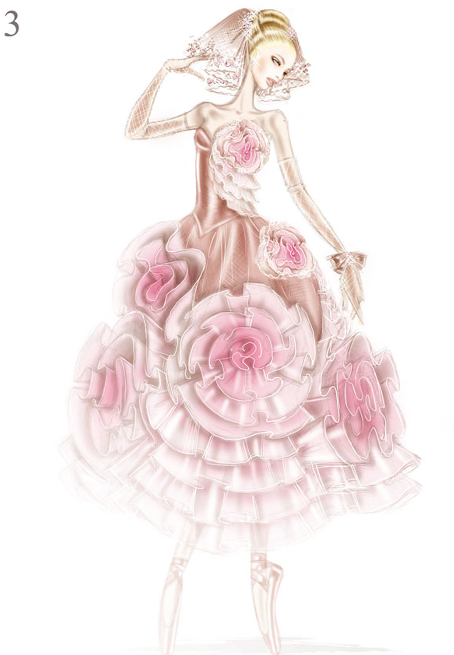 Over a dozen dancers made their way along the marble corridors, the ladies dressed in gowns of pink and gray, festooned with signature Valentino roses. What a way to celebrate the new year! DVDs of the broadcast of Vienna Philharmonic’s New Year’s Concert 2010 are available on Amazon.com.